All proceeds support the First Flight New Play Festival (November 19th-23rd, 2014) featuring readings of promising plays in development. 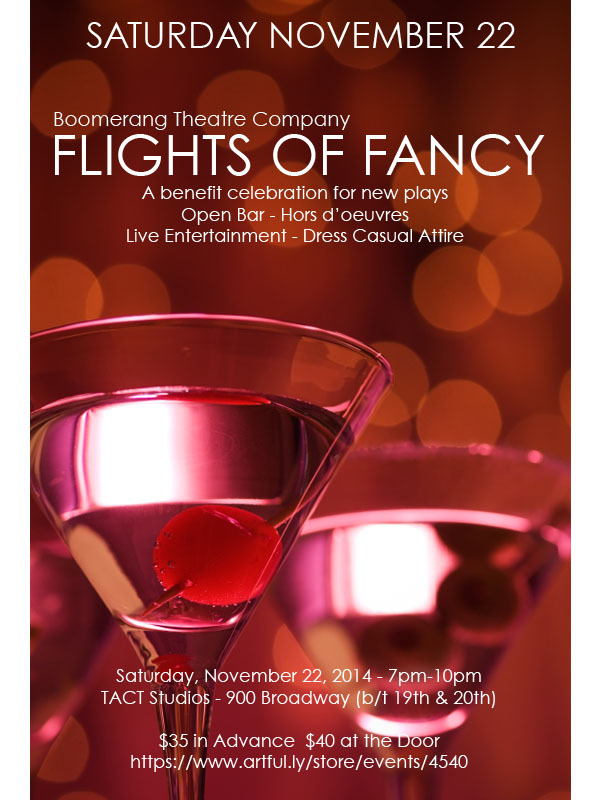 We will be honoring our 2014 First Flight participant playwrights, to be announced later this week. Tickets are $35 in advance and $40 at the door! Celebrate 16 years of innovative, vibrant theatre making! You can make a tax deductible donation here to continue your support of cutting edge Indie Theatre. Thank you.